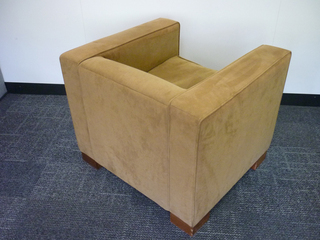 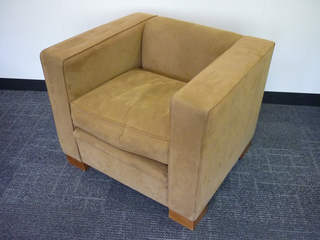 Upholstered in taupe Alcantra fabric. 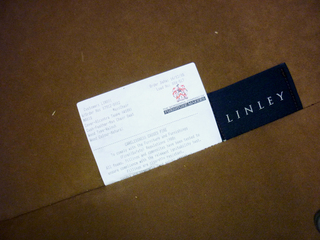 Lindley furniture is beautifully designed and detailed. For example the whole chair is upholstered in the expensive Alcantra fabric whereas normally you lift the cushion and find the underside of the cushion and seat is upholstered in cheaper fabric. 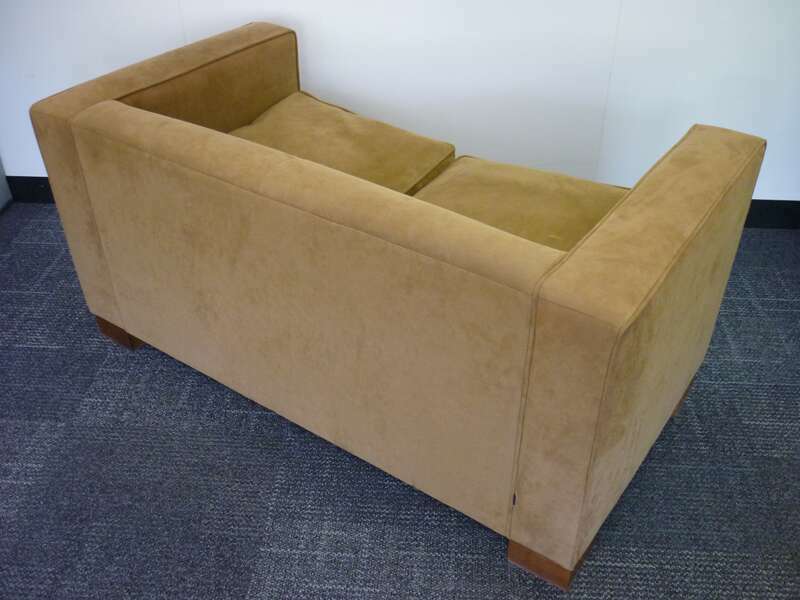 Sofa was £4500 when new.